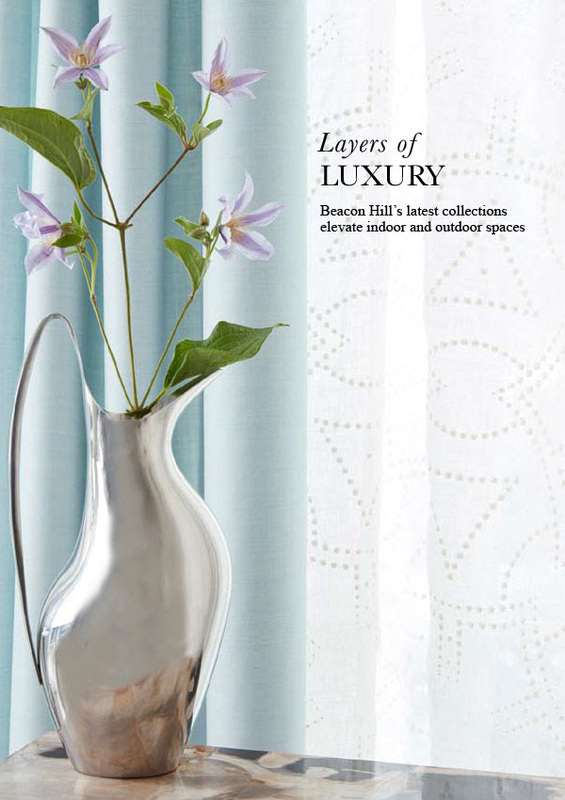 Fine linen and wool textiles spun and woven by boutique mills in Belgium and Italy filter light through metallic threads, unique burnout patterns and embroideries done by hand. 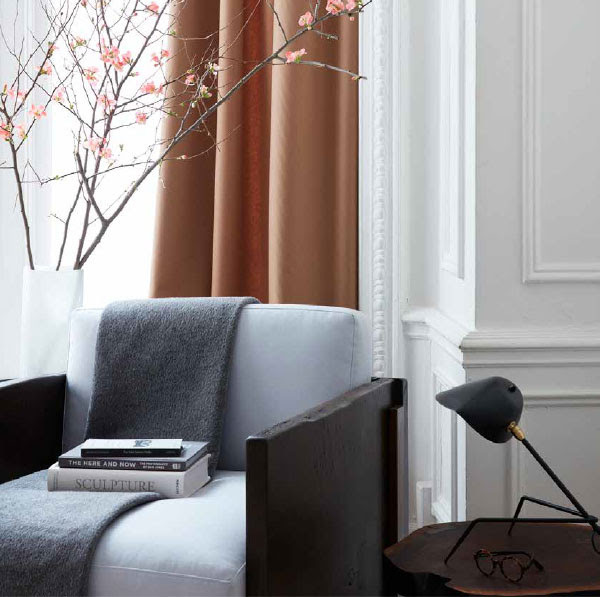 These serene and neutral colors, which allow maximum natural light to flood in, are available in wide widths of 118 inches for sheers that cover today’s expansive windows. Welcome the undulating shapes, textural feel and deep tonal colorations of this new line of Sunbrella fabrics by Beacon Hill. Like the ever-changing hues of our sky, these sun-and-stain resistant, bleach cleanable fabrics bring compelling atmosphere to spaces inside and out. The tapestry constructions, chenilles and boucles lead to stunning effects. Sourced from New Zealand, Chile and Italy, Beacon Hill introduces the finest lambswool, cashmere and baby camel fabrics. 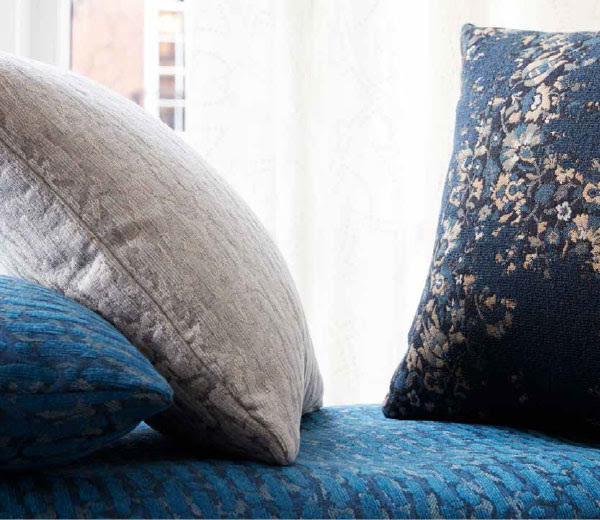 Lending themselves to light upholstery and drapery applications, these twills, sateens and herringbones span neutral, blue and blush hues for a truly exquisite and inviting collection.